So you’re thinking about trying cichlids. A good choice. I will in this article try to give a few examples on good cichlid aquariums that are suitable for beginners. I’ve tried to create setups that will be easy to maintain, beautiful and with species that are easily breed so that you might observe this fascinating side of cichlid behaviour. This article targets those who haven’t that much experience with aquariums in general and cichlids in particular. If you are a more experienced aquarist that is just new to cichlids these setups will still be good, you do however have a lot of other options as well since you are probably capable of keeping more sensitive species than those suggested in this article. •	A larger aquarium is easier to maintain and easier to keep in good condition. • Cichlids are aggressive. Some cichlids are much more aggressive then other but almost all cichlids are aggressive and a larger aquarium makes it easier for weaker fishes to avoid this hostility. 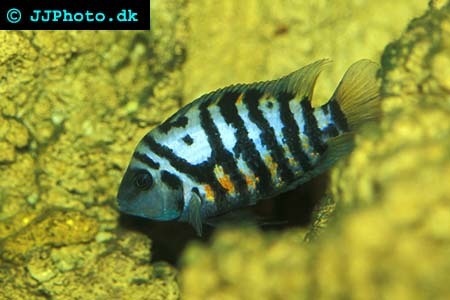 • Cichlid behaviour usually gets more interesting if you can keep more then one isolated pair in an aquarium. For one this allows you to see the parents guarding their young. Which water conditions you should have depends on which cichlids you want to keep since their preferences differs greatly. For your first aquarium I recommend keeping species that are less sensitive to water conditions, and if you choose to try the species I will recommend in this article you normally don’t have to think about water conditions. I don’t recommend keeping cichlids from the great African lakes as your first cichlids if you are an inexperienced aquarist since they have more specialised demands. The cichlids I recommend accepts all kind of food, however I would recommended giving them a diverse diet consisting of pellets/flakes, frozen food and the accessional live food. Now to the fun part: choosing fish species to your new aquarium. I will give three examples on possible aquariums. The first one have it’s origin in rivers in Africa and is more friendly, while the second one features cichlids from Central America. I will also give a suggestion towards a composition that have it’s origins in the amazons. However this composition is a little bit harder to get to breed and requires a larger aquarium. I would recommend at least 50 gallon/ 200 L.
All of these species are relatively friendly and have different behaviours that will reduce stress between the different pairs. These species prefer a well planted aquarium and leaves your plates alone so you can use all sorts of plants. They also require hiding and spawning places. Kribs spawn in caves which can be created using roots, rocks and flowerpots. A. Thomasi spawns on flat surfaces such as rocks. You will have to leave free areas without plants and rocks to create swimming space and allow you to se your fish more often. Use fine sand as this promotes spawning of Egyptian mouth-brooders. If you just keep the aquarium clean and your fishes well feed they will thrive and spawn in this aquarium. 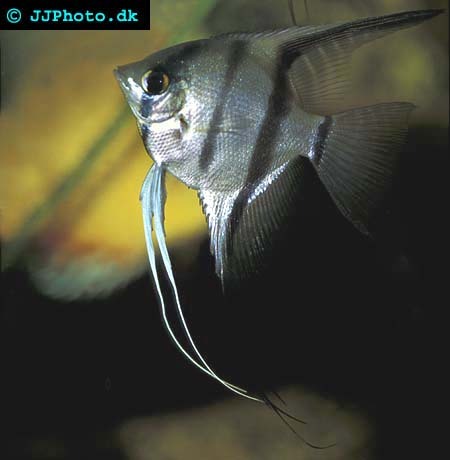 If you find your aquarium a little empty you can add some small schooling fish such as tetras too the higher waters regions. The species in this setup are more aggressive which explains why I only recommend keeping two species in this tank. Both species lay their eggs on rocks so caves aren’t that necessary but I would still recommended that you create a few as hiding places as these species can be quite aggressive. This is especially true when they are spawning and caring for their young. A sajica usually leaves your plants alone, but convicts often eat plants so I recommended using more hardy plants such as sword plants, anubias and java fern if you want to use plants. Whether to keep plants or not are completely up to the aquarist. The cichlids will thrive with or without plants as long as you provide a few hiding places. Both species are very easy to breed and it is almost impossible to keep convicts from spawning. Fry can be very hard finding new homes for so I recommend letting the parents keep their young and se if any survives. In this aquarium some usually will. As I said earlier, its preferable if this aquarium is at least 50 gallons/ 200 L since these fishes get a little bigger. Scalares shouldn’t be kept in aquariums that are less then 50 cm/ 20 inches high. These species are still easy to care for but require a little more from their keeper too spawn. The aquarium should be well planted with free areas for the fish to swim on. Use large sword plant or cryptocoryne species to give the scalares what they need to spawn. The other species requires roots or rocks to spawn on. Caves are not necessary but preferable, especially for A curviceps. If you find this aquarium a little bit empty you might add some free-swimming schooling fish to the aquarium. 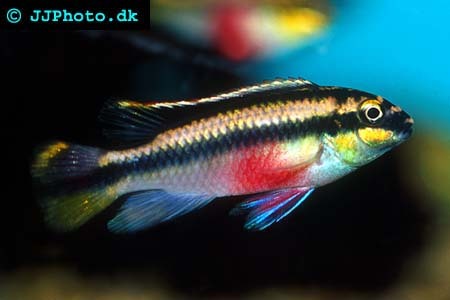 Never use neon tetras with scalares as scalares like to eat them. The same is true for a number of other small tetras. If you keep the water clean and the fish well feed they will thrive and with a little bit of luck, spawn. I have just given a few suggestions on possible cichlids aquarium above (there are a lot more) and when you get a little more experience with cichlids the possibilities are countless. Cichlids are very interesting and often beautiful fishes and many of them are quite simple to keep. This is only a few of the reasons behind the popularity of cichlids.